Bio-Ray Bracelet - well-being as a matter of Harmony and Balance! 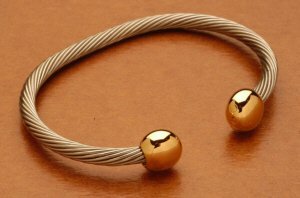 Learn how to get Bio-Ray bracelets directly from the manufacturer in Spain. Do you know the secret why many top PGA Pros are wearing a Bio-Ray bracelet - also known as the Power Bracelet? In October 1973 a chiropractor living in the island of Mallorca, noted that some of his patiens were wearing rudimentary metal bracelets. He recognised a significant impact of the therapeutical powers of some metals on the organism. The conclusion that he came to, was that effectively some metals had some kind of benefit on the human body. After that, and looking for a viable way of applying massively the properties of those metals, he created the first therapeutical bracelet of the world, which he called BIOMAGNETIC REGULATOR. Bio-Ray Bracelets are produced by Bio-Ray in Spain. 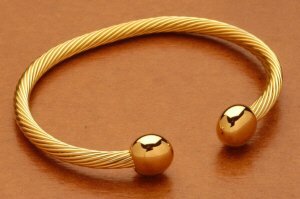 Everybody in Europa knows or has heard from the famous bracelets of Mallorca. A lot of Golf Professionals and Amateurs wear the biomagnetic bracelets and are very happy with their performance. Balance and harmony are key for a successful Golf Game.